...the season to get engaged! You know that along with it being Christmas and all, this is also known as "engagement season." Now, let me give you (three) guys out there reading a tip. Engagement rings do not count as a year's worth of presents all in one little black velvet box. I knew there would be trouble years ago when a friend of mine got engaged and her fiance, who shall remain nameless (Matt), made it clear that this ring was her birthday, Christmas and Valentine gift all rolled into one. Don't do that. 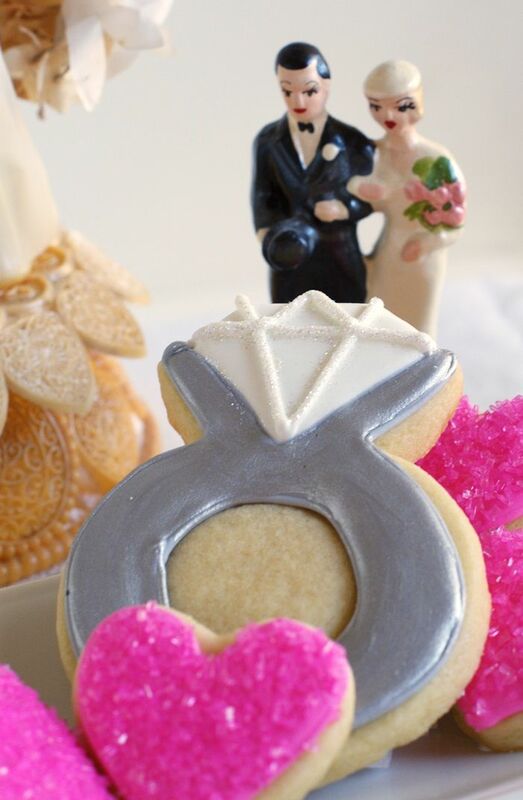 OK...on to these ring cookies. These were made for two of kiddo's teachers who have gotten engaged over the last year. They are the sweetest teachers you could ask for. You know as a mom, you pray that your kid is blessed with good teachers...teachers who *enjoy* teaching...and *enjoy* KIDS?!? Well, we lucked out. And I think their fiances lucked out, too. We're so, so happy for them. 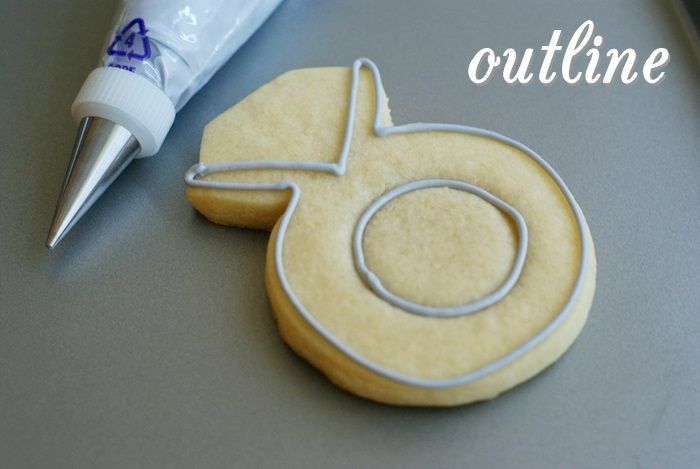 First, as soon as the cookies comes out of the oven, lightly press a small circle cutter in the center. This will help with piping the opening of the ring. You'll see in a second, mine still aren't perfect circles, but it helped! 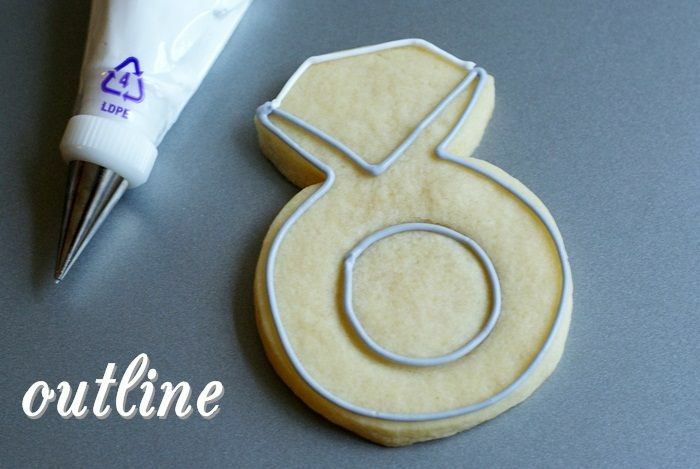 With a #2 tip, outline the diamond in white icing. 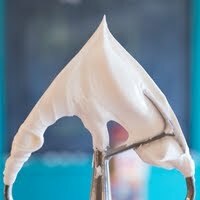 Reserve some of this icing for later. Thin the white and grey icings with water, a bit at a time, until it is the consistency of thick syrup. Cover with a damp dish towel and let sit several minutes. Fill in the rings in grey and the diamonds in white. Use a toothpick to spread to edges and pop large air bubbles. 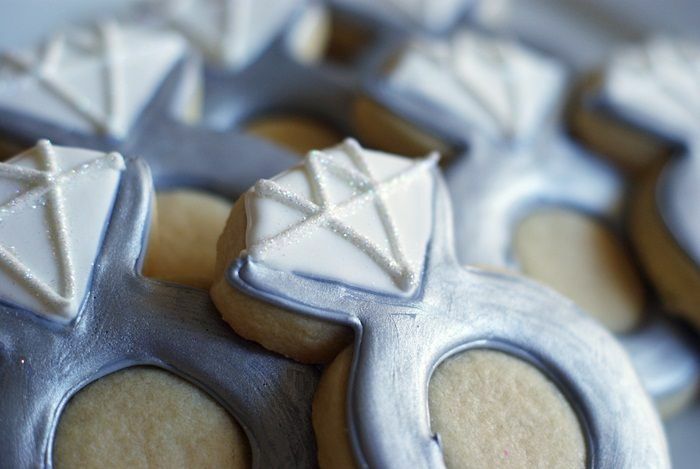 Wait at least 30 minutes, then use a #2 tip to add the detail on the diamond with the unthinned white icing. Mix some silver luster dust with a few drop of vodka. Brush on the ring. Add more vodka as needed to thin the luster dust as it will thicken. Mix 1/4 tsp. meringue powder with 1/4 tsp. water. With a small paintbrush, apply to the detail part of the diamond. Sprinkle on the disco dust, then shake off the excess. You may want to use a dry paintbrush to help remove the excess. By no means (no matter how tempted) should you blow on the cookie...you will be wearing disco dust in your eyebrows for a week. These are gorgeous! I adore them. I was proposed to on Christmas Eve 11 years ago! We've been married for 10 years this past August! Very cute!! What a fun idea! Those are adorable! And I love your decorations. 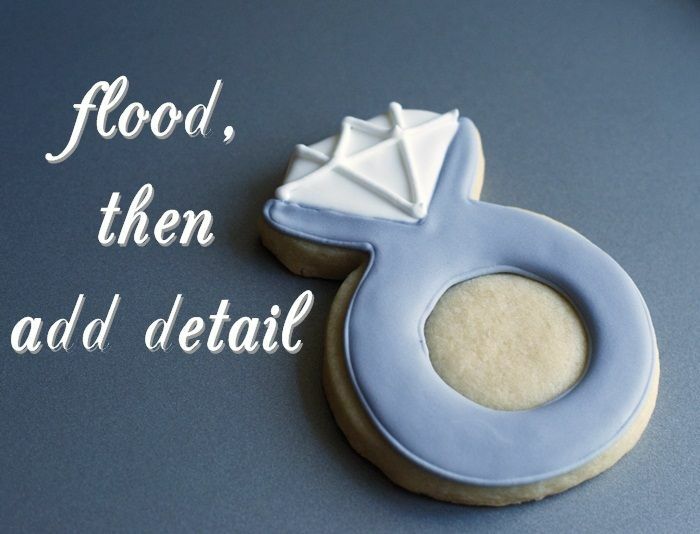 I have never liked the way other people decorated engagement ring cookies but your design has changed my mind. Very nicely done and so pretty! Hahaha, Christmas, valentine and birthday gift all rolled into one? Oh no. 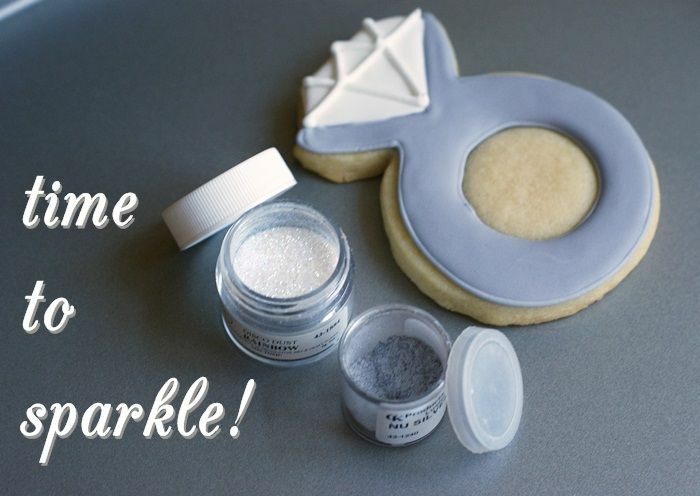 I am in love...with these dazzling cookies! Thanks for the how to. I'm hoping someone I know get engaged soon! My best friend just got engaged so I'm going to have to make these for her! Adorable! Great job as always. Christmas and birthday all in one?! Heck no! These cookies are so cute! Love this idea! I love these! 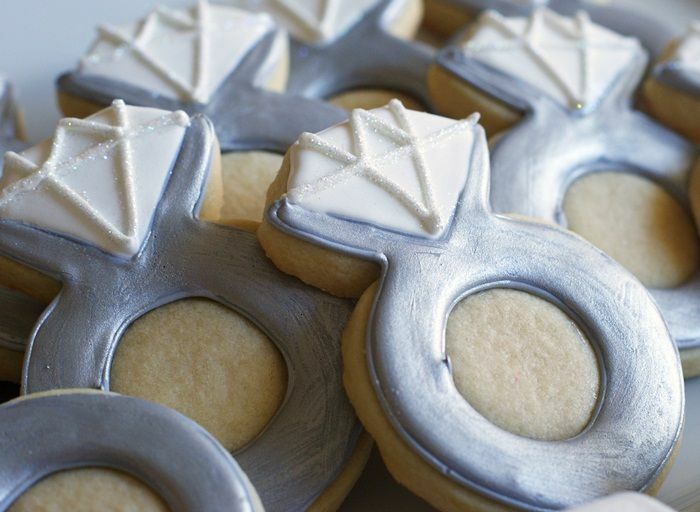 I've made diamond ring cookies before, but I love all the extra details you put in. The idea of making a template for your circle is great. 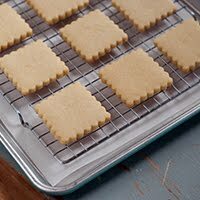 I've also done it where I actually remove the entire middle part using a cookie cutter, but it's hard to keep them uniform. Curious about the vodka - can you taste it? Thanks for the great ideas! The rings and hearts are lovely and Kiddo's teachers are going to love them. Great instructions on using the disco and luster dust. 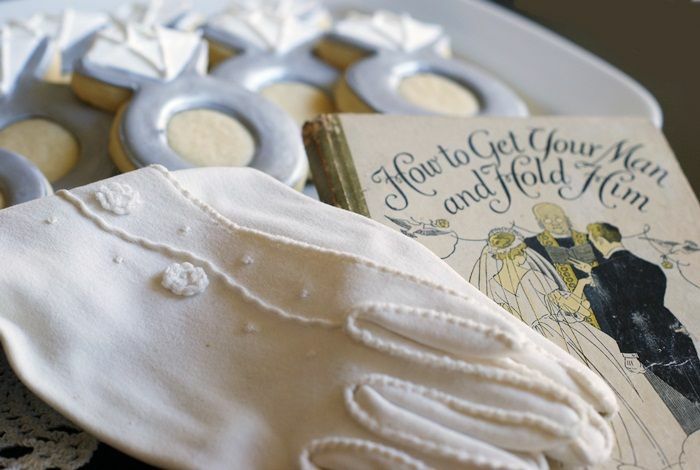 Your vintage wedding stuff is all so sweet but that book...what a beautiful little treasure. So cute, a guy could propose with one of these! just stopping by to say people at work use the word "bling" all day to reference everything sparkly! 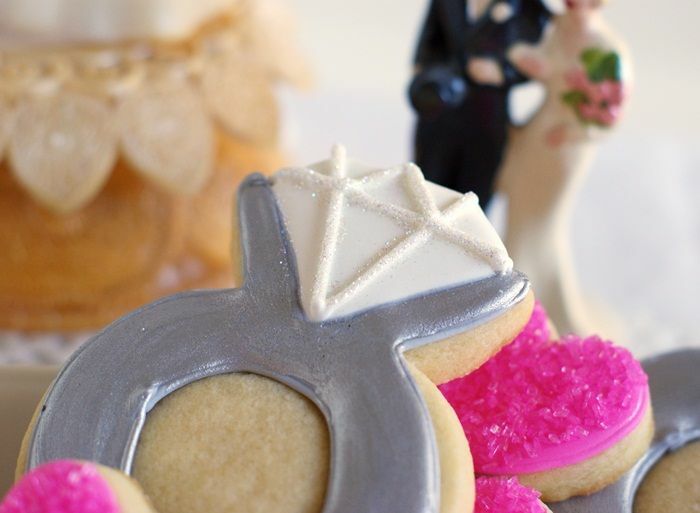 I want to get engaged again just to get those cookies! Adorable. Those are beautiful! 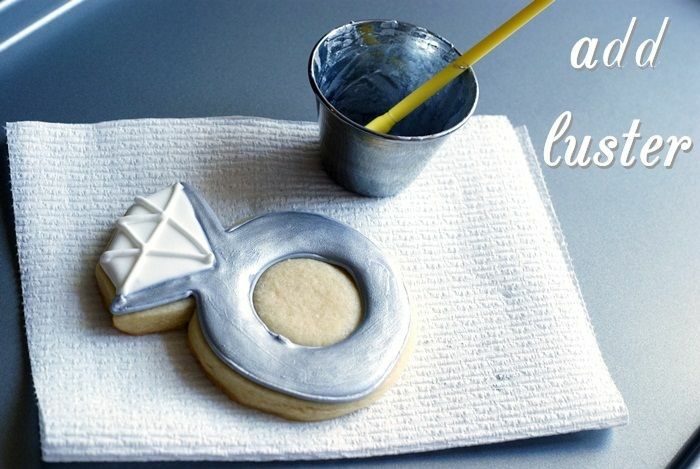 I think I'd rather have those cookies than a ring! I love them! And I'm a Christmas Eve engagement ;) Hubby and I always get out a bit of bubbly on Christmas Eve after the kids go to bed to celebrate and reflect. Not really sappy...more like a few sips here and there while trying not to argue over who has to wrap the odd-shaped present and who put the tape dispenser where. 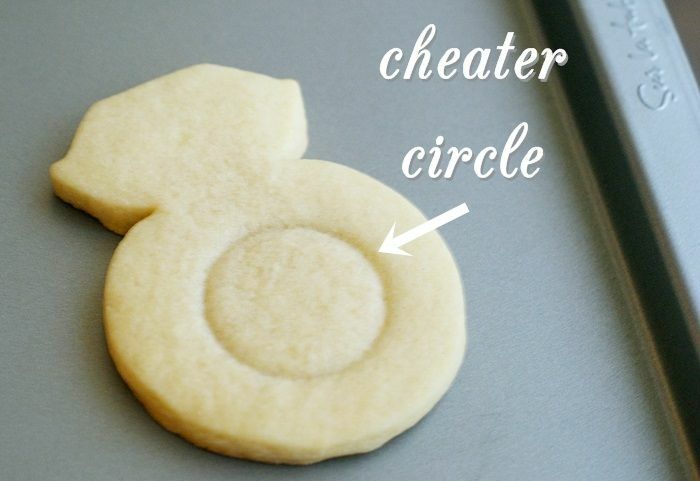 I love your cheater circle, lol. You know I still struggle with circles, there is just something about a perfect circle. 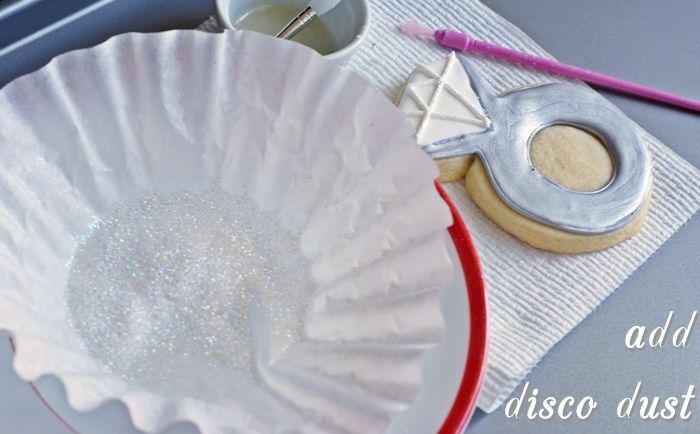 I love little disco dust, it adds just the right amount of sparkle to these beautiful cookies. These are adorable. I just got engaged a couple weeks ago (yay) and I ran across this idea. I may give it a practice run and see if I can make them for the engagement party! Thanks for the great idea. I love the glitter and shimmer so much! I must make something just to use some of the luster dust:) It's so thoughtful of you to honor Kiddo's teachers this way. I'm sure they'll be thrilled! The cookies are gorgeous, Bridget! OK maybe a few more goodies along the way. Love the rings & I love you girl! So cute!! 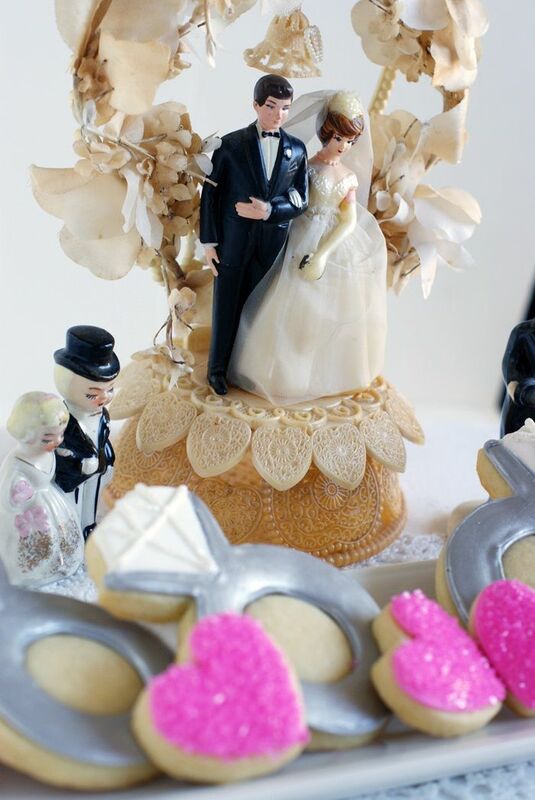 Love the glittery diamond on top! These are just amazing looking! WOW! so cute!!! Congratulations for your marvelous work!!!! These rings are sooo cute. Gotta love some Disco Dust! Wow. 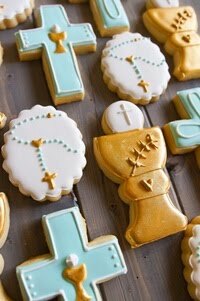 O.o The cookies look so yummy! 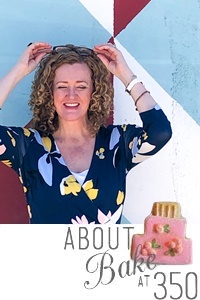 I like all of your cookie designs, but this one is my favorite! :D I should try this one of these days, just for fun. LOL. 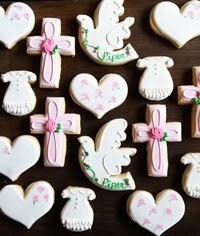 I bet visitors would love to eat sweets more if there are cookies like this on weddings. Thank you for including the tutorial... One of my coworkers just got engaged and i'll be presenting her with a dozen of these beautiful rings...! Thanks again! Thank you so much for including this post!! I'm making these for my bridesmaids, however I am having difficulty with the luster and disco dust. 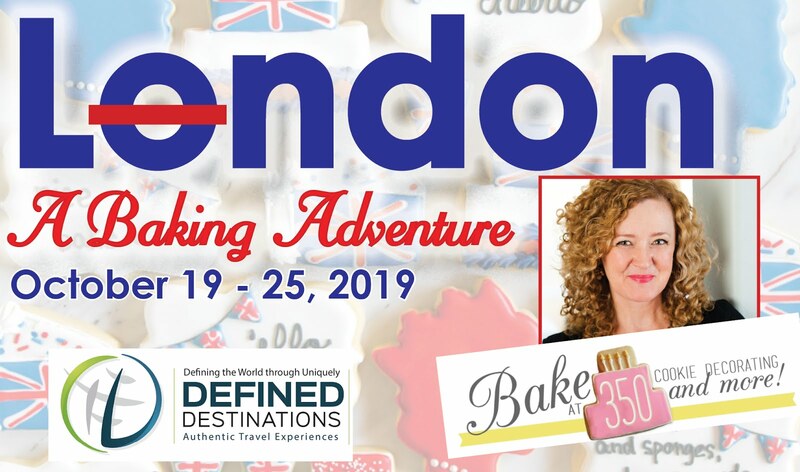 I purchased Wilton's shimmer dust and used vodka but when I put it on the cookie, the royal icing started to flake away and left no shimmer on the cookie... It just ruined it. Am I doing something wrong? Oh no! I'm sorry you're having problems. Wilton's shimmer dust is not the same as luster or disco dust. Look for those terms exactly. 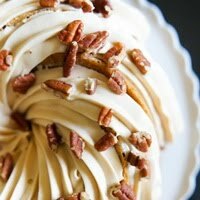 Amazon is a great place to look as is Sweet Baking Supply online. Round DiamondAll Women love to wear jewels that make them feel special, and diamond jewelries are always the first choice for them because the charm of diamond jewelries attract them. Is there a non-alcoholic liquid I could mix with the luster to have it still work?